Ada yang masih punya nggak film The Doraemons? Raku Ichijou is an average high school student. He also happens to be the sole heir to the head of a Yakuza Family called the Shuei-gumi. Ten years ago, Raku made a promise... a secret promise with a girl he met. They promised one another that they will "get married when they reunite." Since then, Raku never let go of the pendant the girl gave him. Raku Ichijou may be the heir to a yakuza group, but he's a normal high school kid who dreams of peace and quiet. However, when he meets super-hot but violent transfer student Chitoge Kirisaki, his life takes a sharp turn for the worse! Sudah didownload yg sub Indonesia, tinggal 5 lainnya. Kalau ada yg punya, mohon dishare ya? perasaan saya belum pernah liatepisode yang itu. emang seru banget ya? 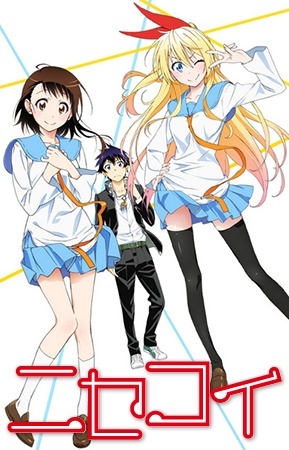 Nisekoi Anime Season 2 Confirmed, Ya-Ha! Halaman dibuat dalam 1.874 detik dengan 23 queri.